Dave Spence, founder and Managing Member of Palladium Wealth Management, LLC, is a CPA, a Certified Financial Planner® Practitioner and a Personal Financial Specialist. Dave specializes in estate planning, business succession planning and personal financial planning for affluent individuals and small business owners. A graduate of Miami University (Ohio), Dave served 6 years in public accounting and 18 years with AXA Advisors, LLC and nearly 15 years with LPL Financial. 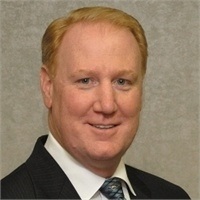 A featured speaker at numerous educational conferences, he also served as President of the Northern Chapter of the Virginia Society of CPAs from 2002-2003. In 2008, he was named for the 6th year in a row by Virginia Business Magazine as a "Super CPA" (Personal Financial Planning Division) based on nominations and votes of other CPAs throughout Virginia. David George Spence holds Life Insurance licenses in the following states: VA (domicile and principal place of business), FL, MD, MI, NC, OH, PA, & SC. In 2010, David Spence CPA, CFP® was accepted into the nation's most exclusive group of financial advisors - Ed Slott's Master Elite IRA Advisor Group® Ed Slott's Elite IRA Advisor Group™ is a group of financial advisors dedicated to solving the country's biggest and most complex financial problem - effectively managing the distribution of assets from Individual Retirement Accounts (IRAs). A native of Steubenville, Ohio, and a resident of Burke VA, he is married and has 3 children. He enjoys traveling, skiing, boating and following the Pittsburgh Steelers and Ohio State Buckeyes during football season.